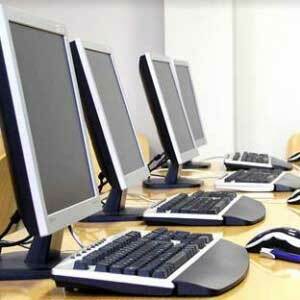 Computers and computer courses have been a prominent part of student education in last two decades. No doubts that computer technology has evolved its way thoroughly since then – still one may find people asking basic questions like why is necessary for kids to learn computers while they are in school – as in they can attain this knowledge after high school as well. The answer to this question is that a survey conducted on two sets of students, one who learn on computers and the second one from a rural area – where reach of computers was limited – showed that students who learn on computers were good at studies as compared to other set of students. The globalization and the fast paced life styles clearly are the indication of mandatory requirement of computer literacy for current as well as future jobs. It has also been observed that students who learned with computers in schools were above average on the standardized achievement test. In any exam - it is a human tendency to have emotional influence on the way you answer to humans where as you tend to answer more positively to computers – which also helps in streamlining the education process. The education process is less time consuming both for the teachers and the students. Computers through internet provide information about any topic in just a click. It is much more easily accessible and available as compared to books and literatures looking for information with narrowed search options. 21st century is all set to welcome the most number of computer scientists and computer engineers. Bureau of labor statistics foresees a mind blowing 37 % growth for these two occupations till 2016. This itself proves the extended need of computer training and computer teachers at a computer school – required to fulfill the needs of 21st century. The smallest of the business would need a computer to type and generate reports - in a spread sheet. Finding a job and surviving without computer skills would be nearly impossible in the coming decade. As we know – all the good things also cater to one or more bad aspects a well. While we are busy discussing the importance of computers – somewhere in some corner of the world a debate has spread like a fire in the forest, which says computers would replace teachers decreasing the human intervention at a lot of junctures in the human society. Computers are capable of eliminating the teaching process and automate the entire education system and the process – all together. All said and done we cannot change and will have to accept the fact that computers and computerization has become an inevitable aspect of human life. Computer schools teaching computer skills are crafting the world of tomorrow.